The average UK dealership is failing to replace 66% of servery worn tyres, new data has revealed. 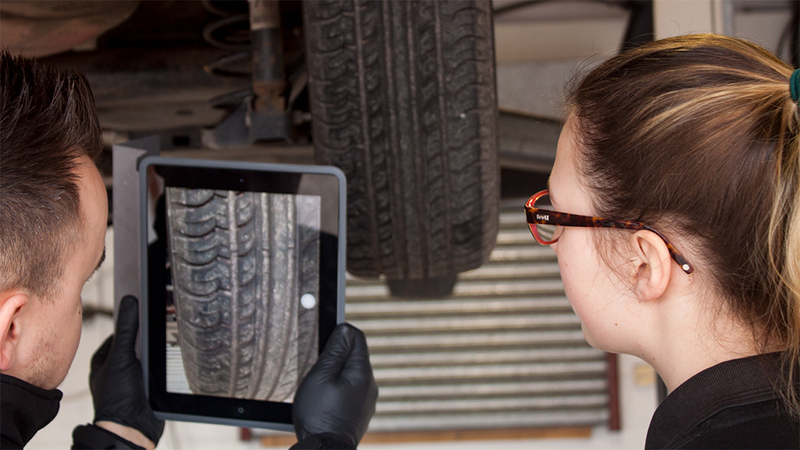 Figures obtained from electronic vehicle health check provider autoVHC revealed that the average dealership sold replacement tyres on only 34% of the occasions when either severely worn or faulty tyres were identified during services carried out in July 2017.
autoVHC recorded data from more than 400 franchised dealers across the UK last month. More than 28,000 tyres were recorded as ‘Red’ during vehicle health check processes, meaning serious defects had been found, such as tread depth below the legal limit. Yet despite this, only around 9,000 replacement tyres were sold, meaning approximately 19,000 dangerous tyres were driven away from dealerships in July alone. Chris Saunders, Business Unit Director at autoVHC, said the latest data raised questions over the duty of care being exercised by dealers. Saunders said: “While it is ultimately the motorist’s choice whether a tyre is changed or not, it is extremely worrying to see Red tyres being replaced on only 34% of occasions. “Red tyres are those that are either severely worn or faulty and often render the vehicle illegal or un-roadworthy. The fact that 66% of such tyres are being driven away increases the chances that dealerships could find themselves exposed to repercussions, including potential legal action, should the worst occur, particularly if it is deemed the customer had not been made fully aware of the risks. Saunders said dealerships need to re-evaluate how tyres are being sold to customers as a matter of urgency. “Such low conversion rates indicate something is seriously wrong in the sales process. Busy service departments can sometimes be guilty of failing to communicate the impact tyres in a bad condition can have on road safety.